Making the transition from IT management to the C-suite takes more than technical knowledge. You need just the right mix of soft skills, business acumen and leadership skills, as these IT leaders advise. If you can learn to balance your technical skills with your soft skills, while projecting leadership qualities, you’ll find yourself in the perfect situation to join the C-suite. For ambitious IT professionals with an eye on the C-suite, there are ways to establish yourself as the obvious choice for an executive IT position. But it requires more than just technical skills. You need business, communication and leadership skills to make it to the top. “If you’re at a stage where you’re already being considered for an executive position, you’ve already proved your technical prowess. To get to the next level, you have to prove that you are a trusted advisor capable of steering the overall agenda for a business,” says Ed Addario, CTO of Currencycloud. Here are eight tips from IT leaders on how to land an executive IT position and thrive in the C-suite. It’s easy to get comfortable in your IT bubble, but at the executive level you also need to understand the business outside of IT. IT is more than “installing systems and writing code,” and to succeed in a leadership position, you’ll need to deal with the “dollars and cents,” says Gerrard Rutter, CIO of Atlassian. “IT leadership is about so much more than technology — you really need to understand how the business works, the metrics that management cares about, and how your project might impact those metrics,” says Rutter. You need to know how to communicate the cost of IT projects to the company and how they align with established business goals. If your business skills are rusty, he suggests taking courses in marketing, accounting and entrepreneurship to start. While you’re busy paying your dues, take time to study how other leaders operate in the business. You don’t want to copy or mimic others, but instead figure out what qualities they display that make them successful leaders. “Watch how great leaders convey their ideas, then put that into practice in your own work. Know the importance of communicating vision — put that into practice,” says John Creason, CTO and co-founder of Smartsheet. Similarly, you can look to ineffective leaders to understand what not to do once you make it to the C-suite. 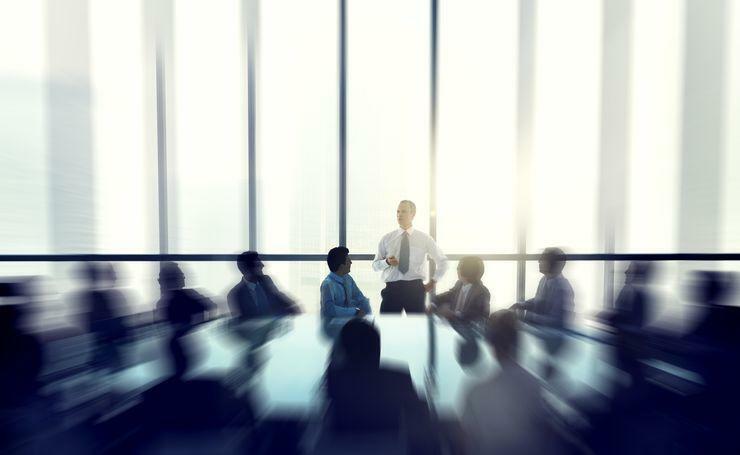 If you start conveying leadership — within reason, of course — while you’re in lower-level positions, you might find yourself at the top of the list for executive positions when they become available. “I generally look for candidates with three to five years in the places they’ve worked. It’s hard to be really productive in your first year because there’s so much to learn, but if you stay too long you won’t be exposed to new challenges,” he says. Rutter makes one exception — if your dream job pops up, don’t be afraid to leave a company after a short amount of time. “Just don’t make a habit of it,” he says. Degrees and certifications strengthen your resume, but you need to back up your education with real-life experience. “Education is only valuable if it changes and improves your results. Make learning a habit — the best universities in the world have put their content online. If you're truly interested in learning, you'll be searching out and discovering great sources of insight and perspective,” says Creason. Don’t embark on educational efforts just because you think it will make your resume look good. Find things you’re curious about in areas where you want to expand your knowledge, and it will show in your work. If you have an eye on executive leadership, the worst thing you can do is wait around for someone to offer you a leadership role. Instead, find ways to display your leadership abilities in your current role, without overstepping boundaries. If you can find opportunities to initiative and get out of your comfort zone, it can position you as a natural leader. “If you are waiting for someone to offer you the opportunity to lead, you're disqualifying yourself. If you see a problem, have some ideas for a solution before you put a spotlight on the issue. Learn how to ask questions; be the person who causes the right sort of conversation to happen. And do that without concern for who gets credit. People will discover that more gets accomplished when you're in the room — that form of leadership will get noticed,” says Creason. Overall, one of the biggest changes you’ll face going from upper management to executive leadership is how you approach new initiatives and strategies. “You move from executing someone else’s strategy to defining and overseeing your own strategy. The transition to an executive level means you have a seat at the table with the C-suite, and play a much larger role in the overall strategy of the company. While technical know-how is crucial, it is no longer the most important element to success,” says Addario. You need to know how to communicate with other stakeholders, take initiative on new ideas and execute your strategy effectively. This requires interpersonal skills, management skills and the ability to inspire an entire team, says Addario. To work your way up to the C-suite, you want to make sure you get noticed for the right things throughout your career — especially your credibility and accountability. “It is essential to be responsible for both the successes and failures of the entire company. Once you commit, you have to deliver — and in this regard, start right on day one of your career,” says Addario. If you can establish yourself as someone who is reliable and credible and who takes accountability for errors or mistakes, you’ll stand out among your peers when it comes time to fill executive roles. It’s important that executives are transparent, so they’ll be on the lookout for employees who demonstrate these qualities. “I’ve known highly talented IT people who didn’t advance because they didn’t want to deal with the politics,” he says. If you can learn to balance your technical skills with your soft skills, while projecting leadership qualities, you’ll find yourself in the perfect situation to join the C-suite. Putting in small efforts throughout your career can improve your chances of landing an executive role and thriving in the C-suite as an effective CIO or CTO.